Please note this product is now obsolete. It has been replaced by the Casella Apex2. 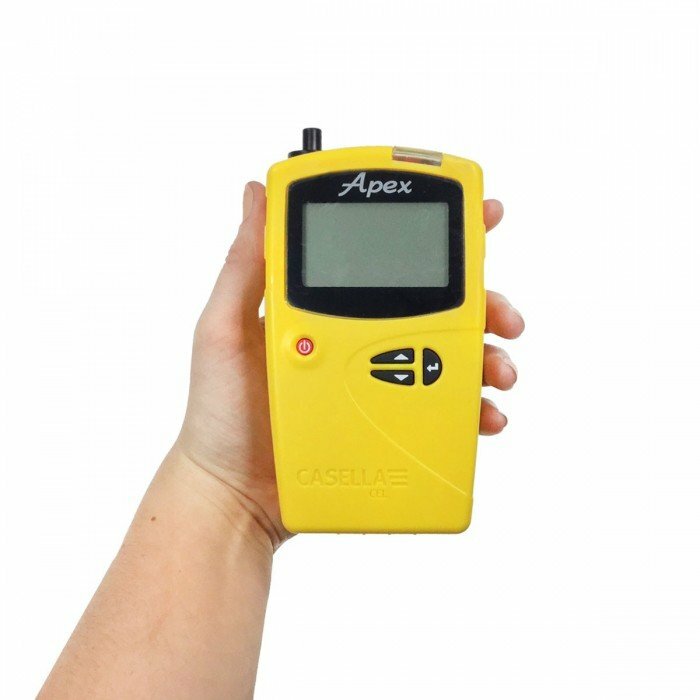 The Apex2 Plus is also available. 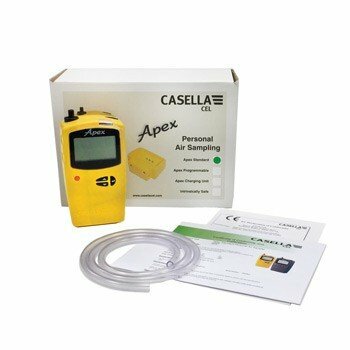 The Casella Apex personal air sampling pump has outstanding performance and features for professional air sampling in all monitoring situations. Please Note: This product does not include a charger, which can be purchased seperately here. 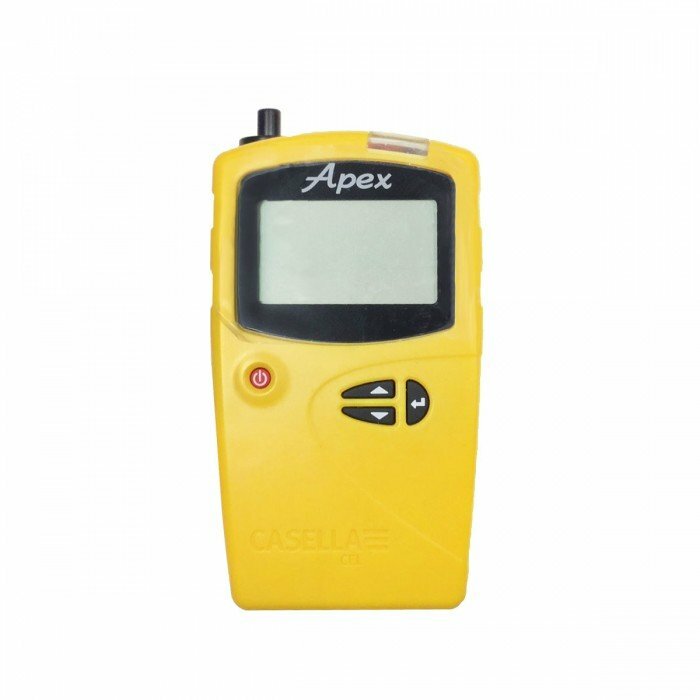 The Apex pump can be used in applications such as personal and area dust/solvent monitoring, construction/demolition sites or manufacturing industries. The personal sampling pump from Casella has an intelligent, fast charging system with a 1.5 hour charge via a drop in charger. The battery life lasts more than 45 hours at 2 L/min (GFA). The large LCD screen indicates real time flow and volume and gives a stable, accurate digital flow control (<±3%). An extensive flow range from 5 ml to 5 L/min is also provided by the personal air sampling pumps, as well as a gas bag outlet for grab sampling. The Casella Apex pumps are compliant to NIOSH 0600, EN1232.